Need to treat large quantities of seed? Go bulk. UAS offers customized bulk treating systems ideal for large-scale operations. 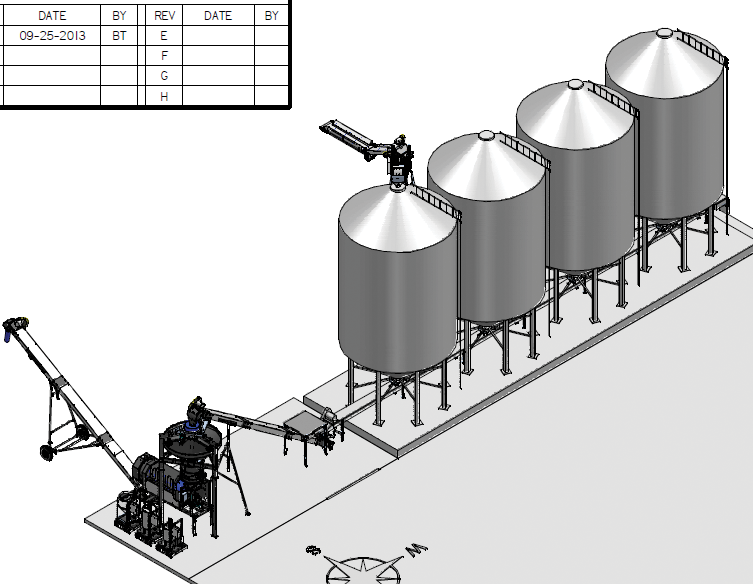 Bulk sites allow for a fully automated, user-friendly system that produces the perfectly treated seed. We’ll even help with site setup and provide training, calibration services, consultations, and more. The LPX combines the most innovative technology with the most popular seed treater on the market. With its modular design, you can fully customize your treater based on your exact needs. Continuous flow seed treating and a patented atomizer provide meticulous accuracy when coating seeds. And a quick-release atomizer chamber offers convenient access for clean-up and inspection. 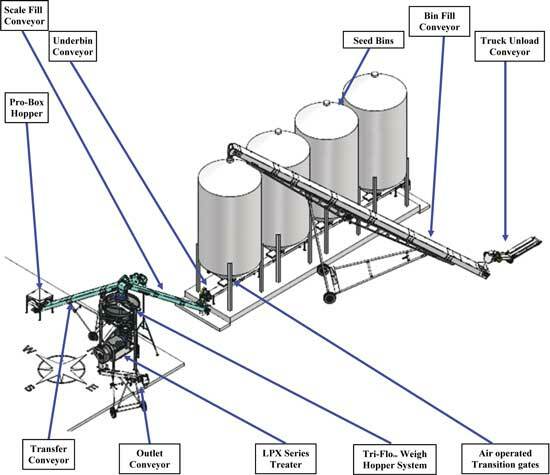 Plus, you can add multiple tanks and accessories any time—making the LPX a perfect treater to grow alongside any treating business. Want to treat more seed, faster, with meticulous precision? You’ll love the LPV. A marvel in modern engineering, the LPV is the only treater designed to handle all three metering options: Loss in weight, seed metering wheel, and weight belt. And the innovation doesn’t stop there. The larger 42" tilting drum gives seed more opportunity to dry on its own. And it makes cleaning easy and fast—a drum cleanout takes just 15 seconds! With an innovative and economical design, combined with an efficient, user-friendly and configurable total system, the LPV is like no other. Topography. Accessibility. Ceiling height and more. There’s a laundry list of factors to consider when building your bulk site. That’s why UAS measures, sketches and creates custom CAD designs to help you maximize your space. If you’ve got a bulk site, you’ve got to try Tri-Flo. 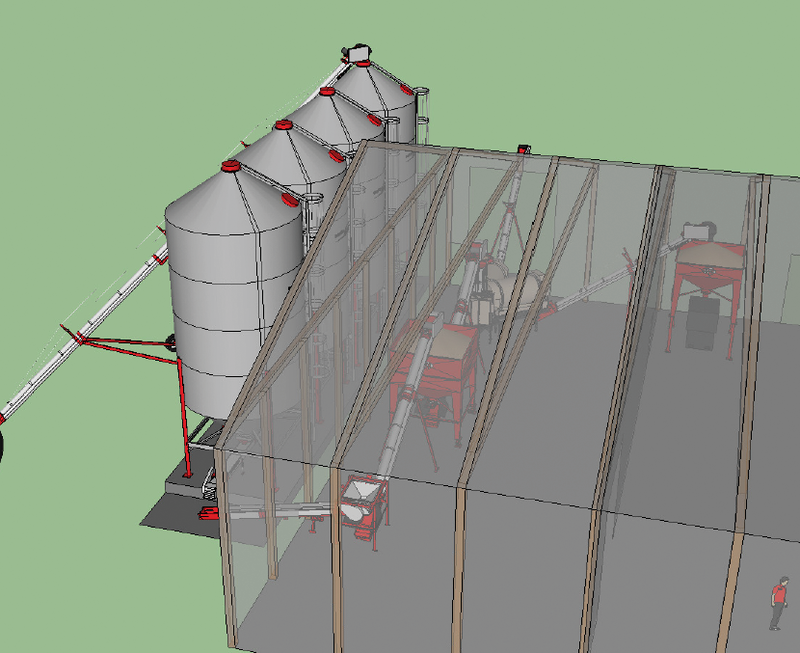 Learn more about this innovative triple-hopper treating system.